This is a Curteich “C. 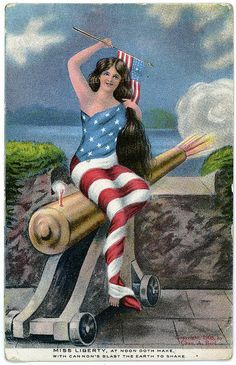 T. American Art” postcard, number 103046-N, and it’s a linen postcard, though the card stock is heavier than typical of these types of cards. The serial number indicates that it’s a reprint of an original run, and records weren’t kept of those types of runs; I can tell, however, that the original run was made in 1925. The history of the building itself shows that, the more things change, the more things stay the same. In 1919, the North Dakota Legislature granted an appropriation of $200,000 (adjusted for inflation, that’s about $2.44 million) to construct a building as a memorial to those who fell during the Great War (that is, World War I). Consequently, some committee sat around for several months trying to decide what sort of design they wanted and, time being money, they decided to hurry up and get the basement poured while they finally got around to telling the architect how it should look. Construction of the basement alone wound up using most of the appropriation, and so an additional appropriation of $150,000 was requested — in other words, the building went over budget by about 75%. But why should the government care? Hey, it wasn’t their money. 75 percent!That is just wild Chris! I sometimes wonder if anything, anywhere, has ever been built to budget! That seems quite some journey for anyone to take shortly after WWII ended. p.s. I’ve added some Turkish pop/rock music to my playlist – tracks no. 32, 49, 73-81. Happy PFF! I like this card~ how the building dominates all the young trees in the landscaping. Today, the trees are probably full grown and beautiful and drawf the building. Hmmm, I’ll have to look that up. I wish I was on their vacation too, 5 weeks of touring the states ~ niiiiiice relatives! The way it used to be. i’d love to try going interstate by train….the scenery must be very stimulating like this postcard describes. I would love to have the chance to travel by train across country visiting relatives and seeing the sights for five weeks. 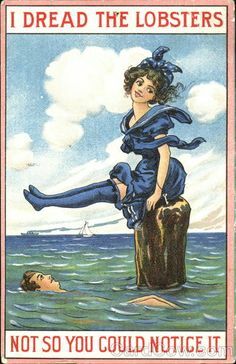 Such everyday luxury is only the thing of postcard memories now I’m afraid. I’m glad we can share this little piece of Miss Anthony’s and Mrs Edwards friendship. I think that is the first time I’ve seen a Curteich linen card with that type of number. The heavier card stock sounds unusual too.